Alpacas All Around is a California alpaca farm, established in 2004, in Loomis which is 30 minutes northeast of Sacramento, CA. We offer alpaca sales, alpaca product sales, alpaca breeding services. 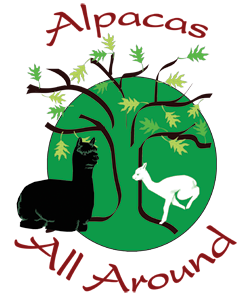 We invite you to schedule an alpaca farm tour to learn more about alpacas and the alpaca lifestyle. If you are looking for alpacas in California, or just thinking about raising alpacas or starting an alpaca farm, we can help you learn more and get started. ﻿to a private farm tour in Loomis, California! Call for your private touring time: (916) 660-1918. There is a small charge for groups, and we appreciate your shopping in our store before you leave. Looking forward to meeting you! Click here for directions. Visit our farm and meet the alpacas. Learn more about the alpaca lifestyle and explore our California alpaca farm. ​We have unique and wonderful alpaca products made from our own alpacas’ fleece including yarn (natural and hand dyed), rugs, rovings, raw fleece, nuno felted scarves, jewelry and much more! Learn about starting your own herd of registered, show-quality alpacas in California or any other state in the U.S. or Canada. Our alpacas can be transported to your farm. We can help you! 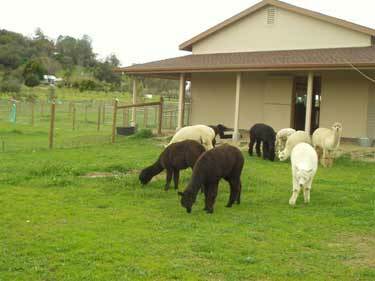 Alpacas All Around is a small, homespun alpaca farm located in Loomis, California. We breed and raise alpacas for their wool, called “fleece.” To find out more about why people want to raise alpacas and what their fleece is used for, visit our page About Alpacas. We want to keep our operation small in order to devote care and attention to our customers, to our alpacas' care and especially to breeding choices. We also show the alpacas we raise in order to check and validate our breeding program, and we choose herdsires based on their awards and proven award-winning bloodlines. Be sure to check out our truly excellent selection of alpaca herdsires, including our newest game changing boys - A Paca Fun's Sonic Shift, and OVA Crisdean the Explorer. Cinnamon's Legacy, grandson of 4Peruvian Legacy, and a HVLA Black Jack, true black sire with micron count of 22.4 AFD at six years of age! And keeping with tradition, we three stunning white male herd sires, out of Derwydd's Manchu. We are breeding alpaca excellence one elite herdsire choice at a time. We breed full Peruvian alpacas with bloodlines from national alpaca icons including Peruvian Dracula, Peruvian Merino, Peruvian Black Ice, and Papeon who comes from the Hemingway Line. It's always a good idea to visit an alpaca farm! If you'd like to come out and see the alpacas, then please call or email us to schedule your visit. 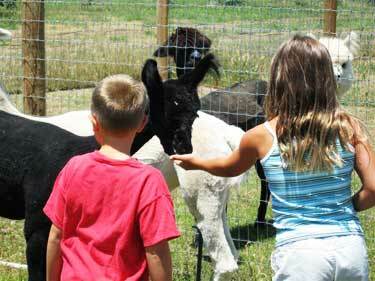 Learn more about alpaca farm visits and get a map to our farm. California Alpaca Owners Association, Inc.